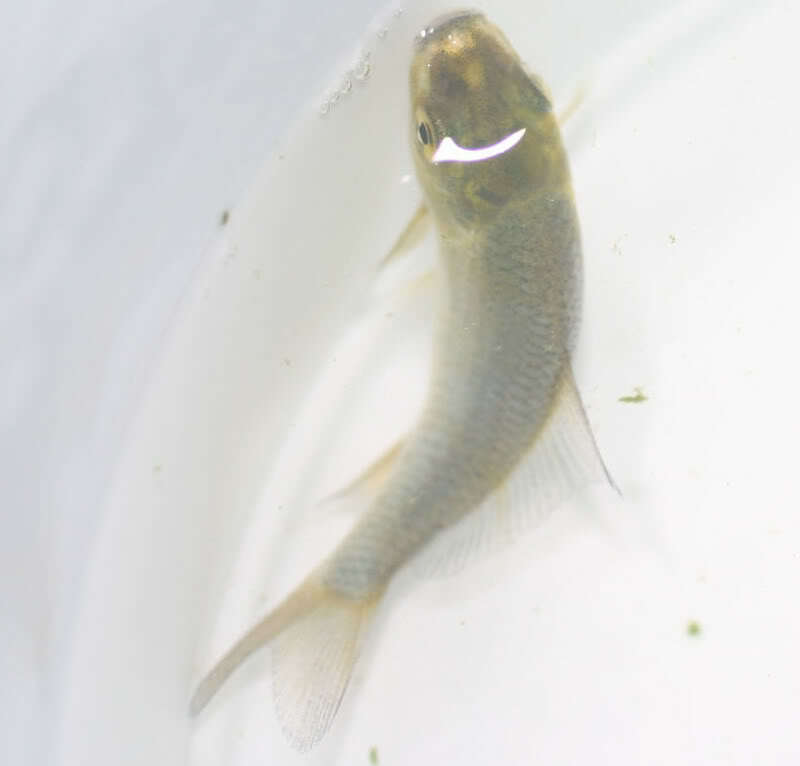 Not really knowing, these koi spawned early December, I only noticed them once they were about 4mm big, did not see eggs etc. No pics available from early December, however by now they are about 3-4cm long, after around 7weeks. 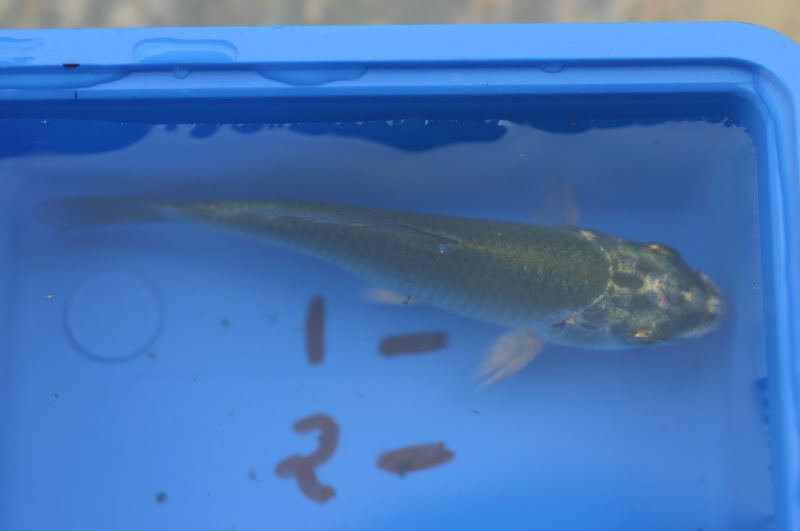 They are still all swimming in a 38000l pond, will today, build a smaller encloser, that can be submerged in the pond that i can monitor them in. 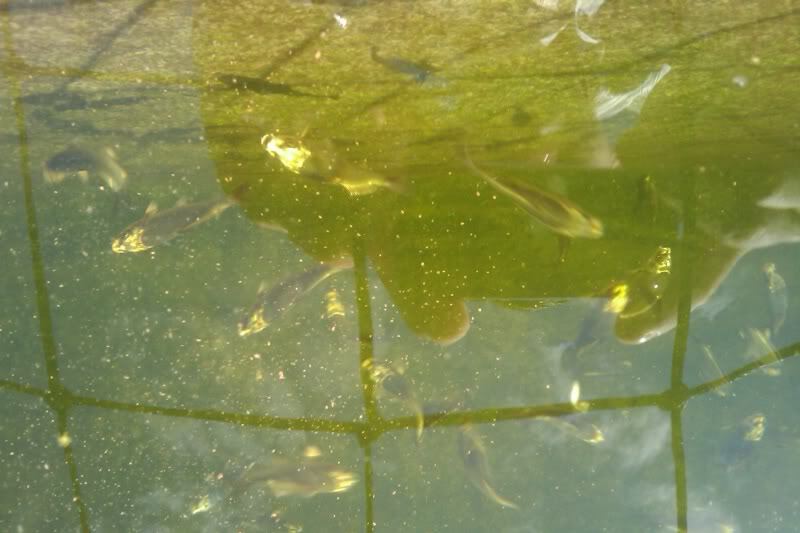 Intention is to catch around 30-35 and put them in there, the rest will remain swimming free in the pond. Danger there is to be eaten by something bigger. Will start posting pics regularly now of how they develope. have got 6 in a small enclosure now. 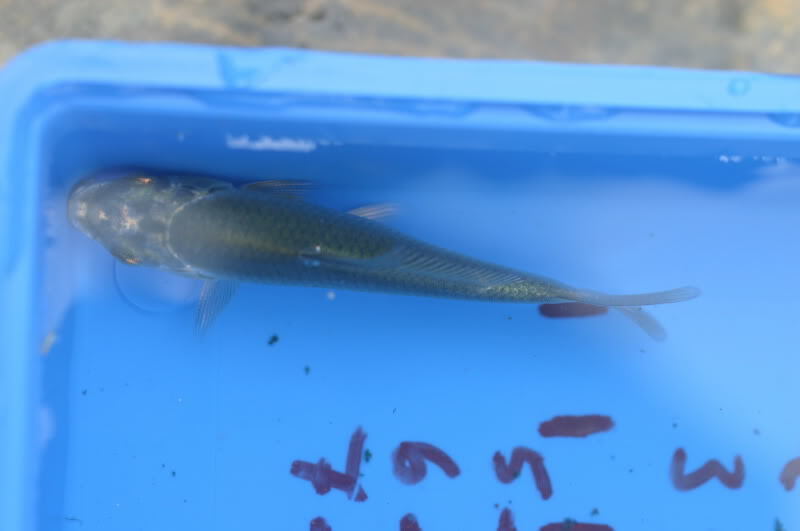 Some are already over 5cm in size, battling to catch them they are simply too fast. 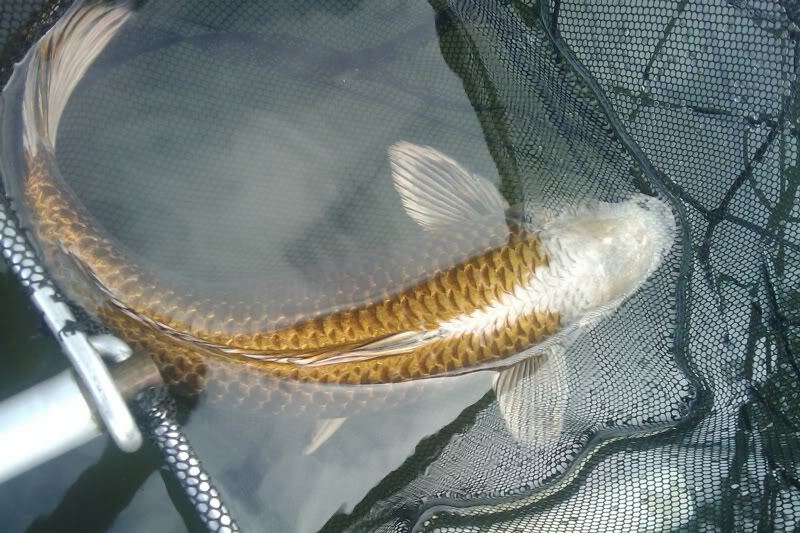 managed to catch two of the little koi over the weekend, this is what they look like like now. Is this what they are suppose to look like when they grow up? I ask cause i cant see that happening. I commented that i like the koi below last time and i still do...sorry (I have to apoligise to the purists). 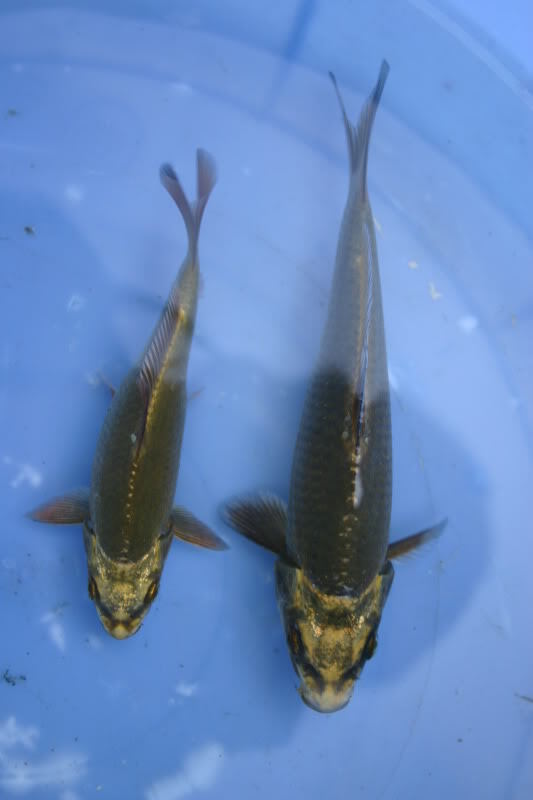 It does not fall into a specific variatie but i like the white head with the gold body. How about a better photo from the front/top in a blue bowl of the koi below? I wish.....there are a few small ones that look like him, no way of catching him, he is almost 90cm and very fast, tried this weekend past with nets and all....very difficult didn't want to stress the fish too much either. any chance of some new photos? I do not see any pictures? Is it just me? I would like to see. two more months and I might get to spawn some koi. Getting excited. Are the babies like the fish in you ID picture? That's crazy. Right after I posted this message, I could see all the pictures. They kindof look like metallic grayish ogon? I've owned a couple like that in my time and they get big fast.